An iPet Portrait voucher bought by a Dentist for his nurse for Christmas. What a lovely thing to do for your work colleague. 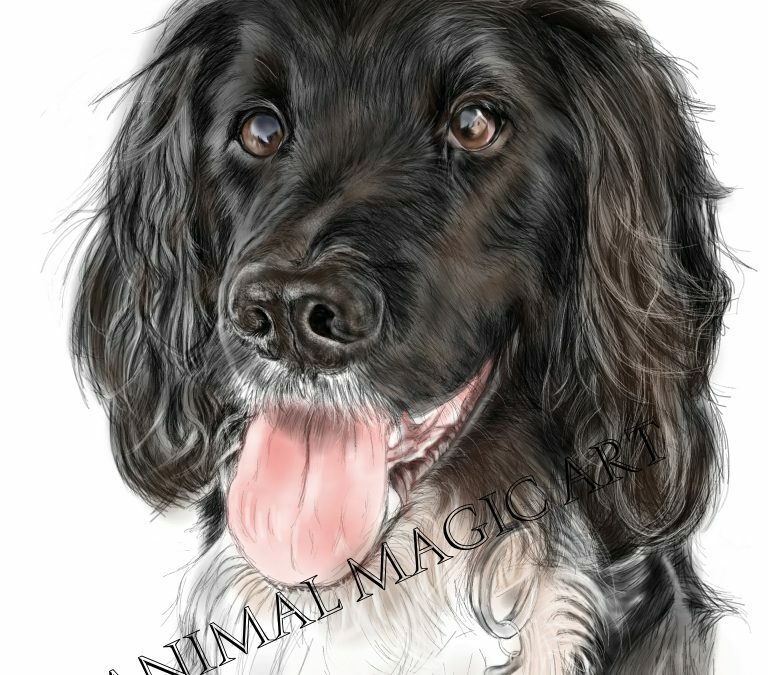 The nurse was so pleased with the artwork of her dog Scruffy, she said, “That’s amazing Sue, Love it, so realistic! Thank you, its great!” I was also really pleased to receive a lovely phone call from Scruffy’s owner too and hope she will bring Scruffy to meet me at Milland Rural Fair, Liphook, this year which is the closest show I am attending to where she lives. Thank you Polly, love my job and love the reactions I get, looking forward to my next commission.